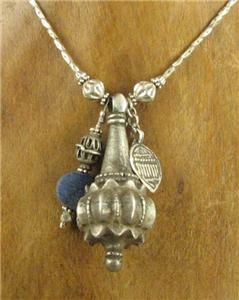 This is a stunning long necklace featuring old Indian silver. 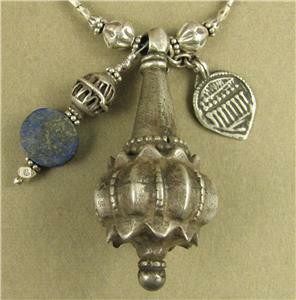 There are 3 old silver pieces on this necklace, the very large central bead, the round bead above the lapis, and the small flat amulet. 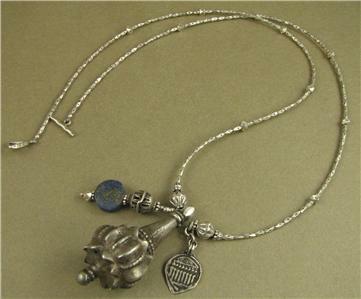 The amulet is a proctection amulet featuring 7 sisters and a brother which is a protection symbol in Rajasthan. All these 3 pieces are between 50 and 150 years old and have been made and used by the tribal gypsy people of Rajasthan in Northern India. 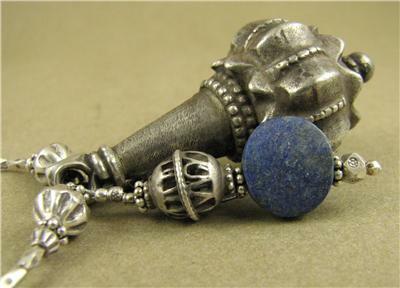 I travel to Rajasthan to find these pieces, which are becoming increasingly difficult to find. 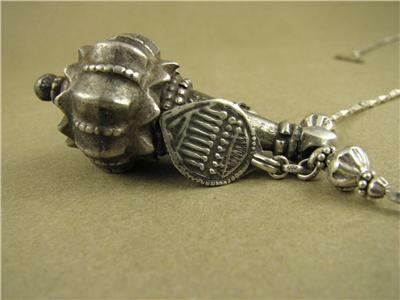 Their silver quality is extremely high-it is between 96 and 98 %, making it fine silver. 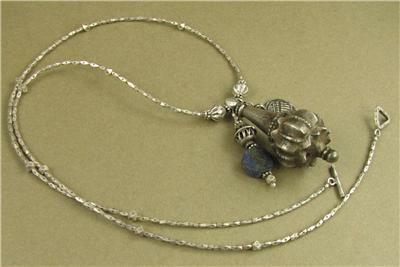 All the rest of the metal in the necklace, the beads in the 'chain', and the beads around the lapis and the clasp, are fine silver (98%) purity, and are new tribal silver beads made by the Karen hilltribe people who live between Burma and Thailand. I also travel to buy pieces directly from them. 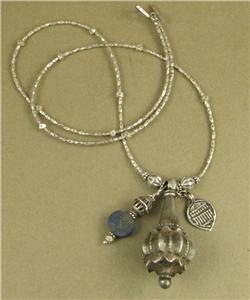 The lapis lazuli is from Afghanistan, bought from a family of Afghani traders. 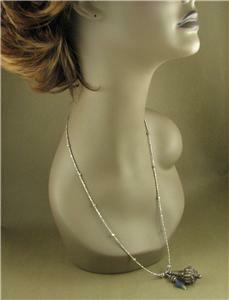 The necklace is very long - 26 inches (66 cm). This a completely unique piece, the only one I will make. I am the designer of this necklace and I have made it with my own hands. I have been making my living exclusively from designing and making jewellery for the last 9 years. 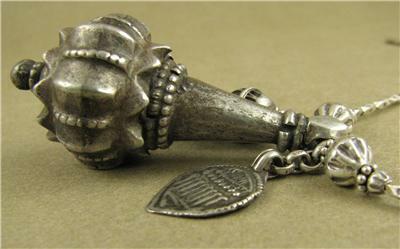 I travel every year to seek out old and tribal silver from Asia and India along with semi-precious stones. 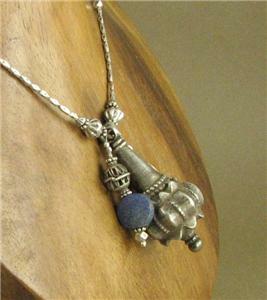 Back at home in Brighton, England, I make these loose pieces up into beautiful and unusal jewellery. Aurora borealis necklace & earrings with swarovski elements & sterling silver.